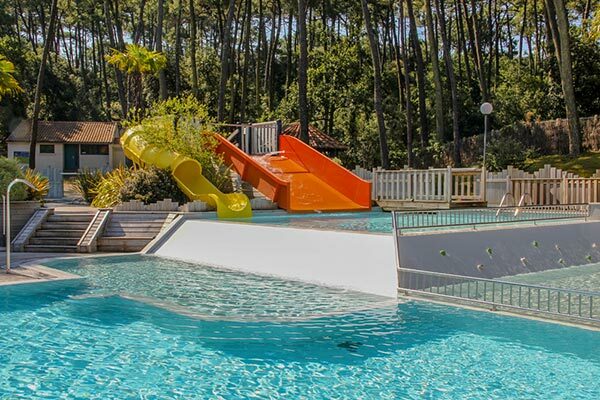 At village club Océan Vacances, you can combine the comfort of a stay in a real holiday rental and the pleasures of leisure and entertainment offered in campsites and village clubs. The aquatic space is one of these many advantages, spacious and multi-activity, it will seduce the whole family. In our aquatic area you will find a swimming river and a large pool of 140 m2 pleasantly heated. With a depth ranging from 80 cm to 1.40 m, the large pool is ideal for children’s swimming, swimming lessons and family relaxation. Aquafitness and water polo are also practiced in complete comfort. By staying in one of our cottages next to Royan, you can easily go to the pool every morning or in the afternoon on your way back from your excursion. Rent a cottage with a slide pool suitable for your children! Children of all ages staying in a cottage will find in our water park activities to their taste. Indeed this space designed for the whole family will delight your children, even the youngest ones, thanks to the paddling pool! A shallow paddling pool (40 cm) is dedicated to the little ones, they will have fun there in complete safety, between water games and rain mushrooms. 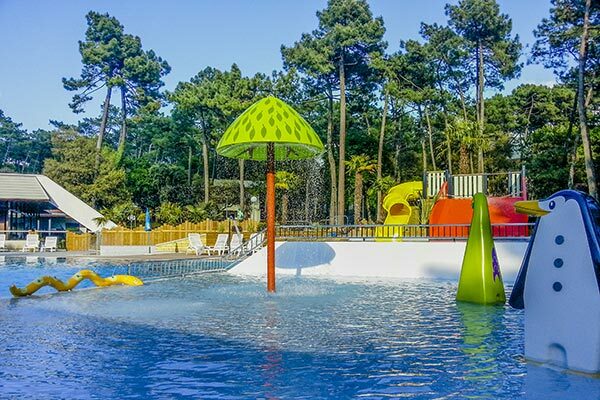 The older ones will not get tired of our aquatic toboggans : in tubes with U-turn or in pentaglide version, the slides lead into a 36 m2 heated pool separate from the swimming pool. Children can have fun without restraint while others bathe in the pool and parents can relax on deckchairs. 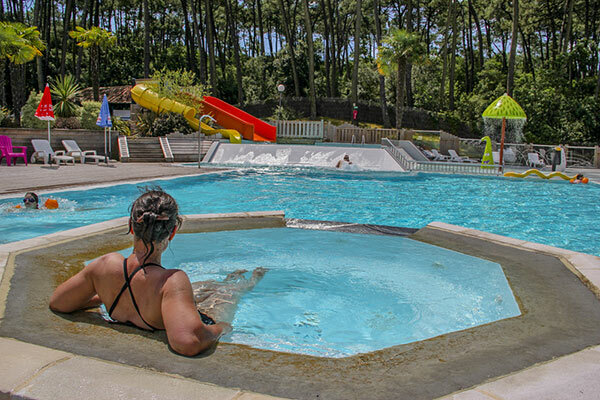 Thanks to the aquatic area of our village club, your week in a cottage near Royan will be most revitalizing! A short time in the jacuzzi will relax you after a bike ride or a day at the beach: the benefits of hot whirlpool baths are multiple on muscles and joints. The swimming river, the large jacuzzi, the swan neck massage jets, are all reasons to choose a stay in a cottage in our holiday village!